Our continuous challenge remains funding and utilizing our annual budget to meet the ever-growing needs of the state's transportation system. 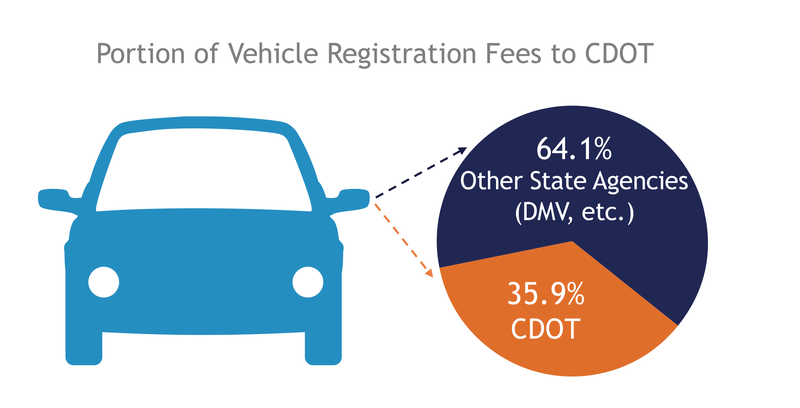 We get our dollars from the state and federal gas tax, neither of which have changed over the last 30 years, and we get a small amount from vehicle registration fees. In fact, Colorado's gas tax of 22 cents per gallon hasn't increased since 1991, and does not increase with inflation. 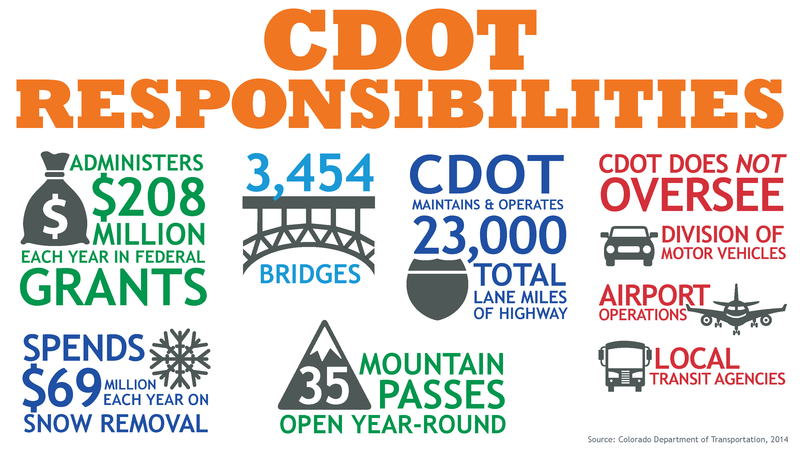 With what was collected in the '90s, CDOT was able to spend $125 per person on transportation—building and improving highways and bridges, removing snow, improving safety: all the things we want to be able to do. 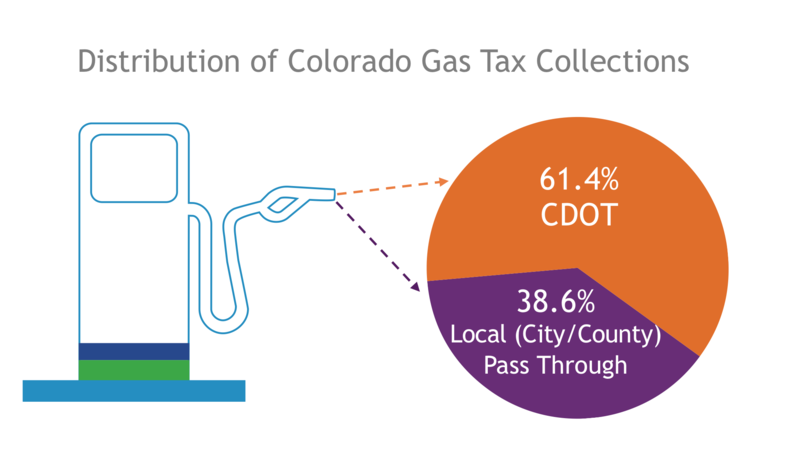 Today, the gas tax remains at 22 cents per gallon, and now CDOT can only spend $69 per person on transportation. And the future is projecting worse, with just $41 per person 20 years from now. 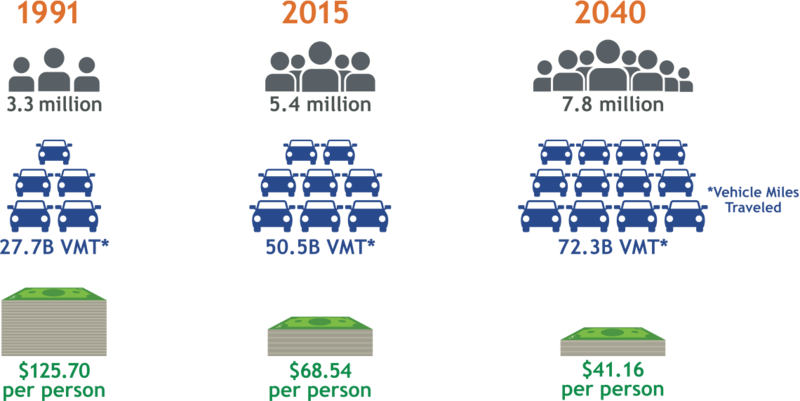 It's easy to ask that we become more efficient and stretch those dollars, but when you look at the reality, we've been doing more with less for a long time. In fact, today we're really doing less with less. Additionally, our focus is not just on the over 23,000 miles of highway lanes we maintain and repair (not including our partner city and county roads), but on other vital items as well. From maintaining 3,500 bridges to keeping our mountain passes open to monitoring transportation grants, CDOT must maintain a prismatic focus to keep Colorado moving. Finally, our state grew by 50 percent over the last 20 years and is projected to grow another 50 percent over the next 20 years. If our funding remains as it is, you will see that impact on the roads. CDOT has an annual budget of $1.55 billion. Of that, nearly half ($747 million) goes just toward maintaining what we have, sustaining a C+ road surface grade. Another 14 percent ($209 million) of the budget is directly passed through to counties and cities for local projects. After taking into account other aspects of the budget, there's far too little to expand our existing transportation system. CDOT regularly receives ideas for transportation improvements from the public. Everything from widening highways, building bike and pedestrian friendly roads, creating more transit options and constructing that long-wished-for light rail to the mountains. We would love to do all of these projects and more, but we're up against a steep funding crisis. Colorado has the 12th lowest state gas tax in the country, and we rely heavily on federal funding for construction projects. Our purpose will always be to save lives and make lives better by providing freedom, connection and experience through travel, but the reality is that progress is limited by the funding available.